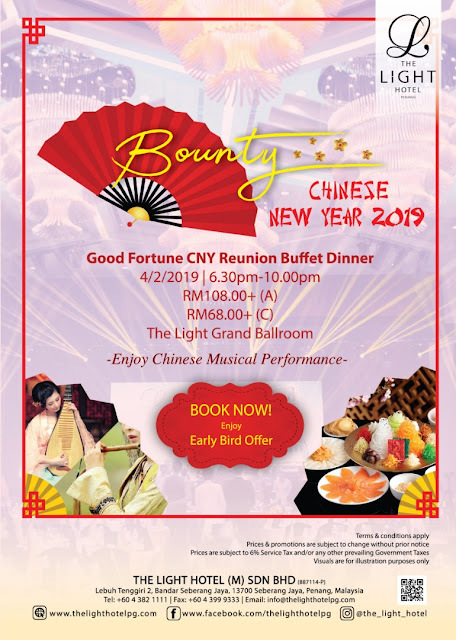 Celebrate Chinese New Year 2019 in style at The Light Hotel as the Good Reunion Reunion Buffet Dinner will be organized in style in The Light Grand Ballroom on 4 February 2019. All guests for the night will be entertained with a 3-piece Chinese cultural orchestra, while enjoying a delicious spread of buffet that feature signature Chinese Thai-style Roast Duck, Chili Crab, Pun Choi, Crab Meat Fish and many more. 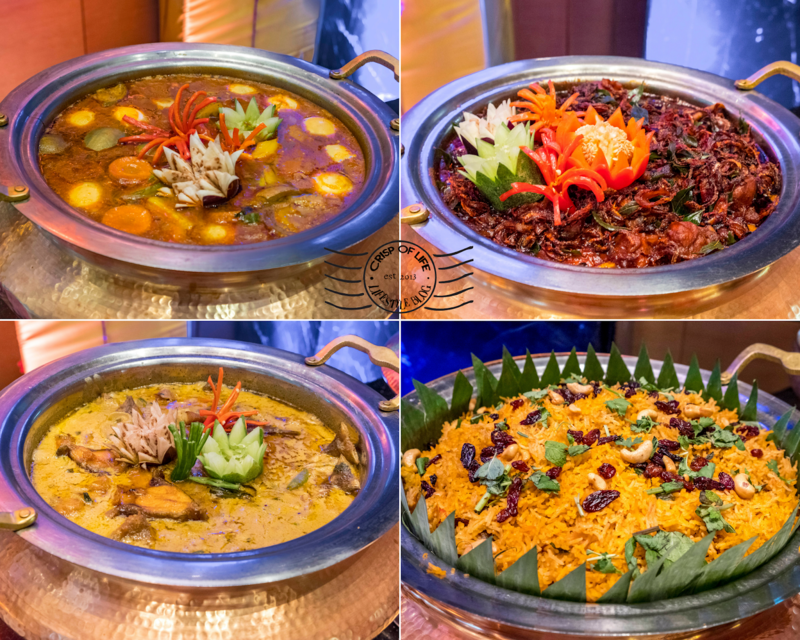 For a price tag RM 108+ only per adult, the reunion buffet dinner poised satiate your taste buds to the maximum. There are other promotion such as Abundant Delight 8-course Set Dinner, Chinese New Year Buffet High Tea and etc to fit in different occasions as well. On top of that, the beautiful decorations at the hotel lobby centerpiece entitled Garden of Cherry Blossom with all the lit up tanglung also poses a good photography opportunity. 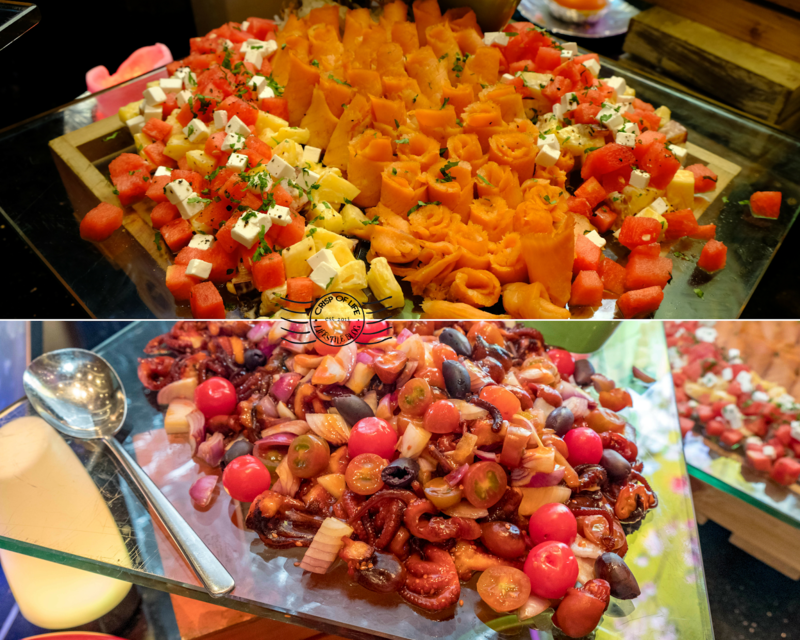 "When it comes to festivity in Malaysia, it is all about joyous feasting and celebration with family and friends" says Mr Raj Kumar, General Manager. 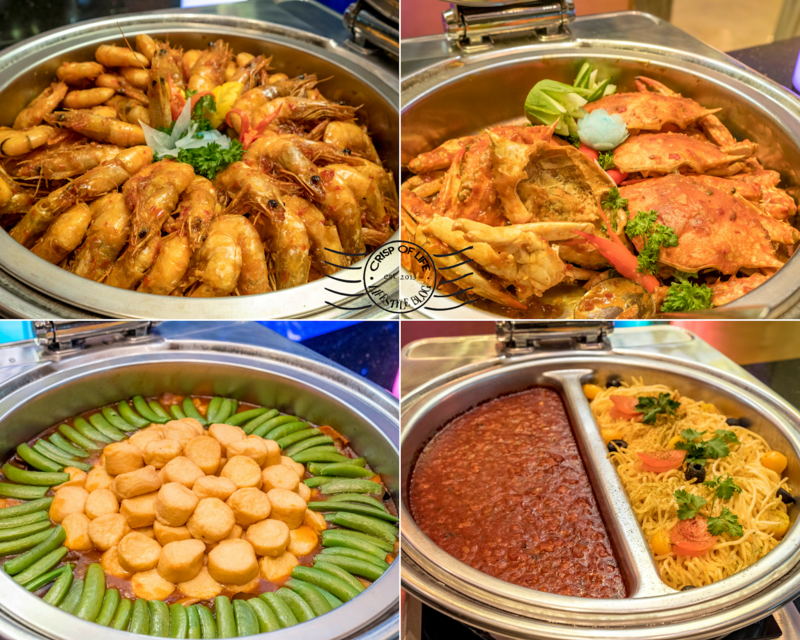 Therefore, expect to see sumptuous dishes in the buffet spread, which includes the symbolic prosperity Salmon Yee Sang, grill action counter featuring Castelo fish (Ikan Mabong), stingray, prawns and five-spice chicken (all made to order), seafood on ice station, delightful sweet streets that include Chinese Milk Pudding, Shanghai Pan Cake, Glutinous Rice Balls, Si-Gua Teng and many more. 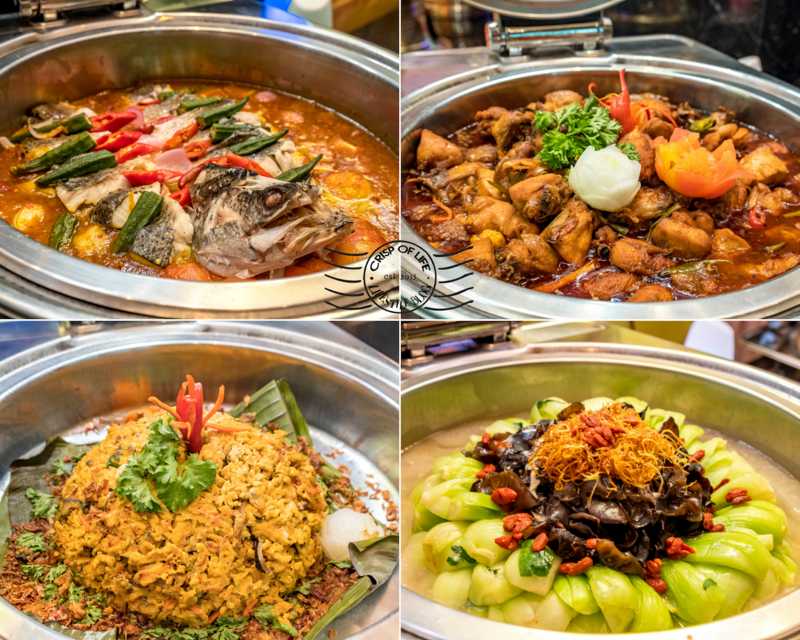 For those coming back from other countries will be yearn to have a feast on local delights such as Hokkien prawn noodles and laksa from the action counter. 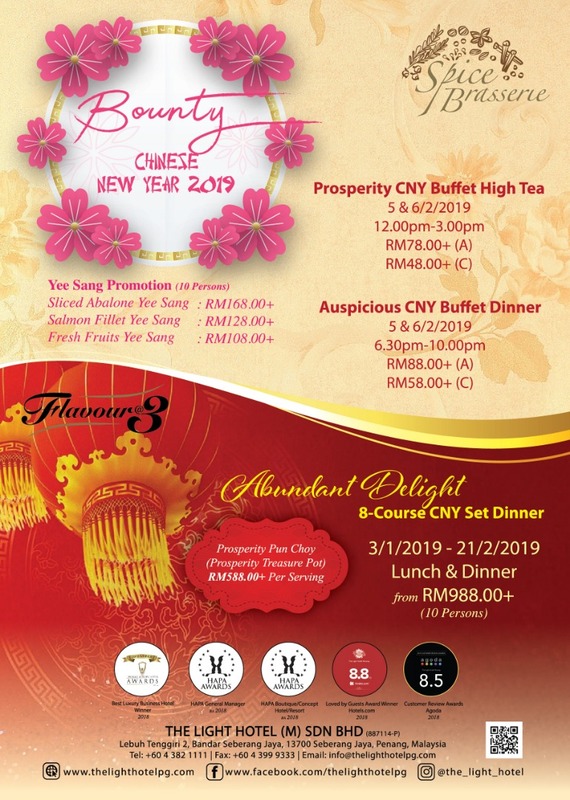 Early birds book will enjoy 28% and 18% if book before 15 January and 18 January respectively. Lebuh Tenggiri 2, Bandar Seberang Jaya, 13700, Seberang Jaya, Pulau Pinang, Malaysia.